Quickly charges all M12 batteries. 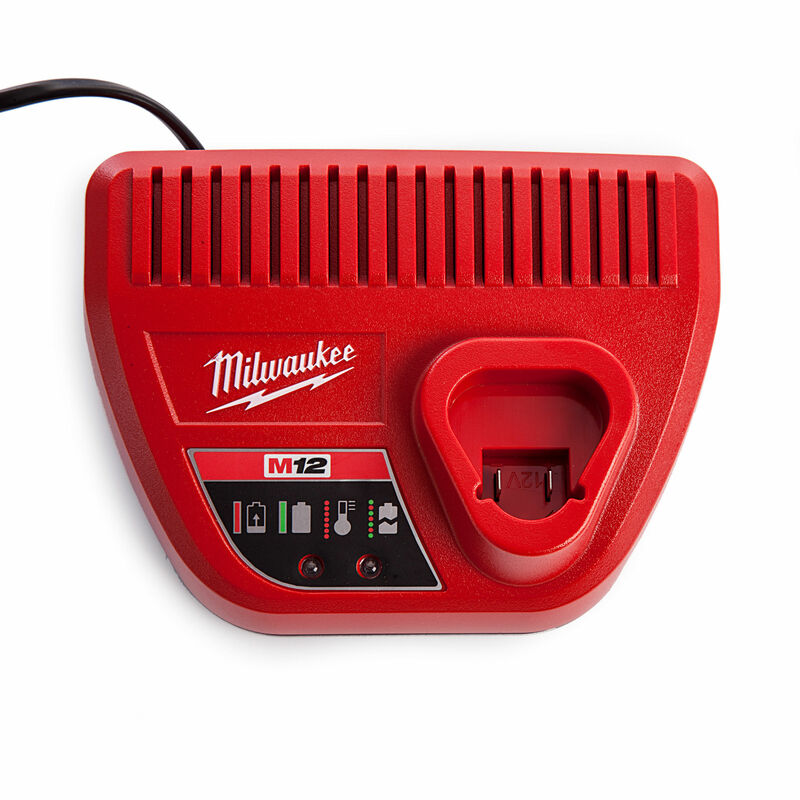 Power up your M12 RED LITHIUM and M12 Lithium-Ion batteries in less than an hour with the M12 Lithium-Ion Charger. It communicates directly with the battery pack to manage charges and features an easy-to-load design. The charger's slim profile requires little bench-top room, while the pass-through plug conserves valuable outlet space. 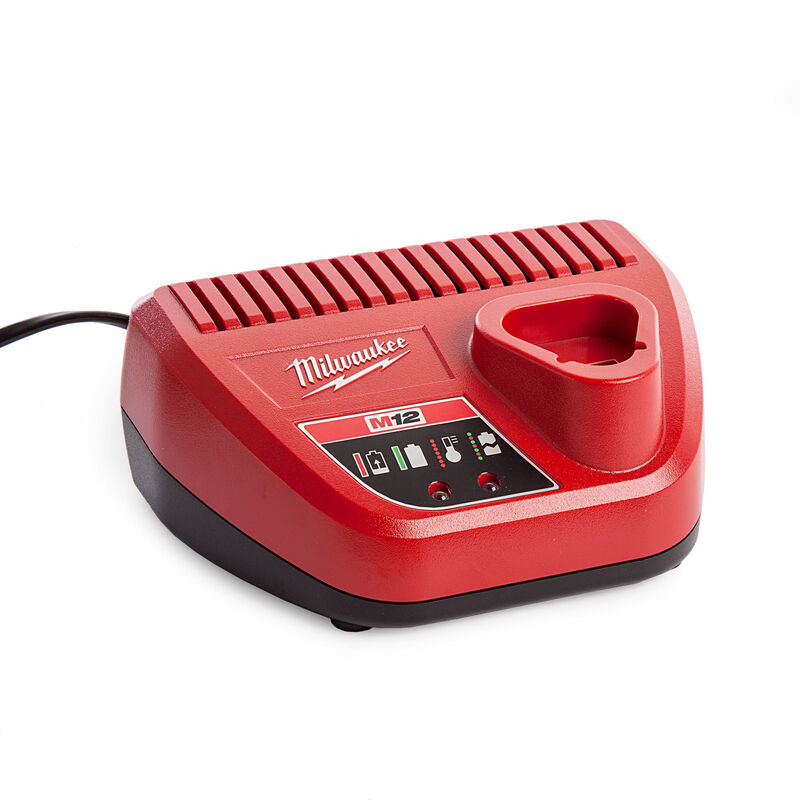 Monitor battery charges for all of your M12 cordless tools with the onboard indicator light.